Citadel NiteLite Watches are Easy-to-Read Push Button Backlight Watches with an expansion watch band is the ultimate in simplicity, comfort and readability. 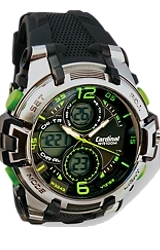 The MEN'S MODEL XWA5064 is a classic men's size watch and includes a Date Function. TopFlight Watches is an AUTHORIZED Citadel Watch Dealer. 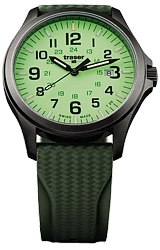 We do NOT EVER sell offshore or so-called Gray-Market watches. Your watch will be brand new, fully boxed and factory fresh! 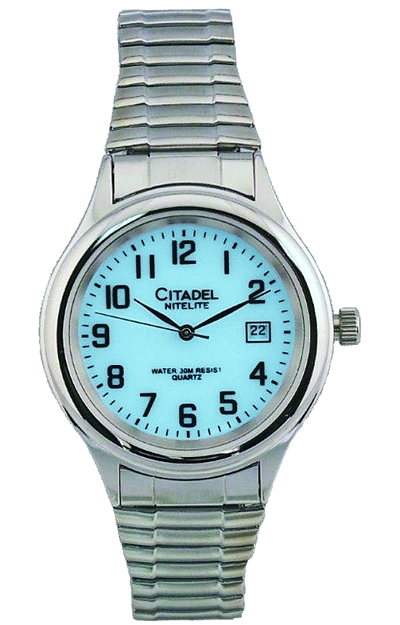 All Citadel Watches are backed by a Two Year Limited Warranty. Just call us TOLL FREE 1 (888) 243-6329 to get more information or to request a complete copy of the Citadel 2 Year Limited Warranty.